I started this blog in 2011 with the aim of sharing some of my images of many of the locations here in Ireland where I live along with some great places visited on my travels. The images on this blog while I always hope are great to look at, are less about image perfection and more about sharing the moments and atmospheres in the locations I find myself in at the time I capture a scene, this is how I view my photography !. I very much hope you enjoy the posts you find here, since 2011 this blog has had well over 250,000 visits and 100,000 likes for it’s pages and I would like to say a big THANK YOU ! to everyone who has already visited this blog leaving a like or making a comment, both of which are very much appreciated. Nigel, elegant and emotive captures. I had the pleasure of spending a month in Kilkenny in 2001 (shooting with a Minolta SRT102) and have always hoped to return for an encore in digital. Thanks for your very kind comments, Would love to see some of your images from your 2001 trip, you will always find a welcome here if you ever want some fresh one! Thanks for your comments, Love your images from Norfolk. Your landscapes are wonderful Nigel! Hi Nigel! I am very impressed with the vast quantity and quality of that your work and how it might inspire others in the emerging field. Best of luck your your success! Must have a drink sometime very soon, thanks for your kind comments!! Nigel, I love your photographs. Thanks for the follow, too. Hi Nigel – thanks for the Like. I am curious, how did you come across my site (art.norberthaupt.com) in the first place? I get interesting visits from unlikely places, like yours, and I am curious. Thanks! thanks for viewing my site…..
From the Word press reader under landscape tags..
thanks for the like on my blog http://rnphotography.wordpress.com – its much appreciated. Your photos are inspiring. How’s the G1X going? Thank you Roger, Love your images! Good its always in my bag, I must do a new post on it! Thank you for droppping by. Your work is beautiful. Thank you, love your blog ! Pleasure, I look forward to reading more of it! That’s Awesome in it own right Alien, Thank you very much that’s brilliant of you. Oh did I say thank you !!!!! Thank you Scott, That’s a great thing to say 🙂 Thank you. Very pleased you enjoyed it here! It was very kind of you to follow my very amateur painting blog, thank you! It’s work like yours that inspires people to create in some small way, and to learn more about and care for nature. 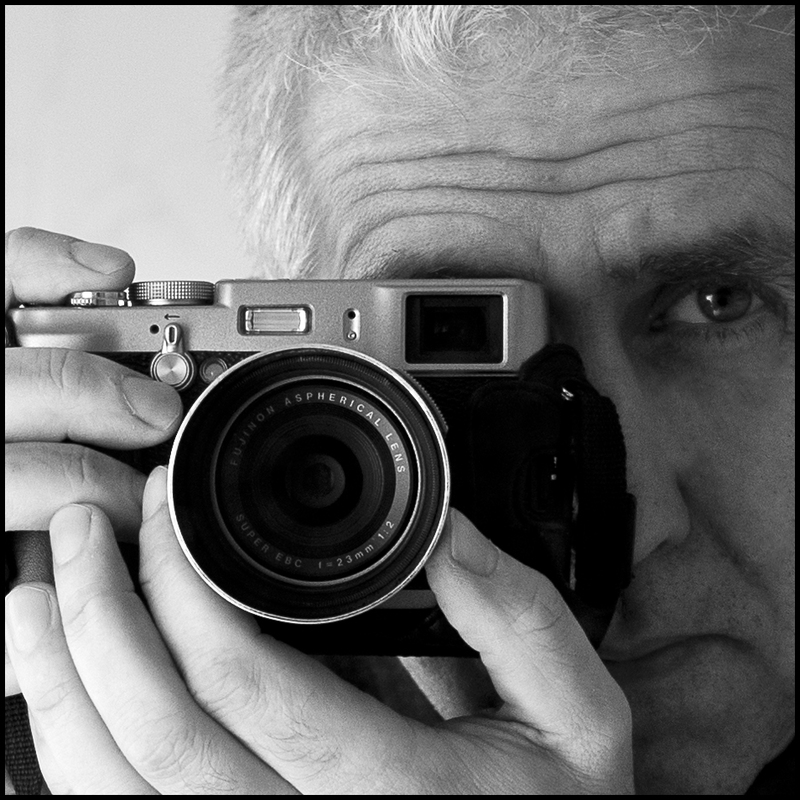 Thanks for following my blog…I have spent quite a bit of time perusing yours and enjoying your photographs. You have a very sophisticated style, although that shouldn’t be surprising since you are a pro! It’s just that I get a lot of blog visits from folks just starting out and so am a bit astonished sometimes to see really good work. Thanks again. I love your painting very much Alli and will return a lot to your site, lovely work both the Landscapes and the horses! Thanks so much for stopping by and liking my recent post “Finally.. Spring appears to have arrived’ – your encouragement is appreciated. You have some wonderful images here, and I look forward to exploring them more as time allows. Thank you Amy thats really lovely of you, Always remember the blogging miles = 0 !!!! Some very nice work here! as well as useful/interesting information. It will take me some time to work through the substantial body of work but I’m loving what I’ve seen/read thus far. Keep up the good work! and thanks for checking out my own work. Anche se io non conosco l’inglese, abbiamo in comune diverse cose. che bello, ama il tuo blog ???? Just wanted to express a big thanks for all the positive feedback. It’s really quite encouraging. Thanks for stopping by and setting out the welcome mat to your blog. This is a most interesting place here Nigel. Anxious to explore more! Thank you and your very welcome here…. No problem and a pleasure , I love your Blog ! Thanks for following my photo blog. Best to you. A Pleasure 🙂 and thank you ! Nigel, When I see your work I often ask myself will I ever get there. I’ve always had a passion for art, design, and photography. I really only consider myself a amateur but would love to move to the next level. Seeing your photos has really inspired me. Thanks. Thank you for such very kind words, Like yourself I just have a big love for photography and art. I don’t think there is much difference between an amateur (in art or anything) and a pro, other than having a will to really stick in and do as much as you can to advance. The pro label is just that really a label, if you look at well known artists this biggest difference is the amount of work they do, this layered onto of a ground level skill. I think your biggest tool in any of the art’s is not a will to win, as people often put it but a will to keep producing lots of work – most fails – some works (The more you do the more works!) – and you learn from both ! Hi Nigel, I’m intrigued to know how you got along with the external hot shoe viewfinder on your Canon G1X. It is something i have been looking at getting. Be great to get your thoughts on it and what viewfinder is on your G1X. Really nice images BTW. Thanks for you comment, I got the views finder second hand soon after getting the g1-x and I have been very pleased with it. I do a bit of street photography and set the camera to 35mm fl. its a 4×3 format and the frame line are spot on center for the Canon. I don’t mind using the lcd but it a great extra option when you don’t want to see anything else but a clean view of you shot. The finder also is big and offers a good relief, you can still see the canons green focus light and a full framed view without your eye being right upto the opeining. Hope that helps Adam …. Thanks for liking my post! I really like some of your pictures of County Kilkenny and of the ones with your dog. Beautiful images. You have a distinctive style that I would say is like fine art, but I’m only a novice, so not sure i know what I’m talking about. All I can say is that your images are great! I have nominated you for three awards, Seeds of Light, Best Moment, and Versatile Blogger. If you choose to accept my nomination (which I sincerely hope you do), you will find indications of the next steps in my (lengthy) posting. Apparently, there is no time limitation on acceptance but for your reference, I will be removing my posting in two weeks and make it a page filed under Uncategorized. Very pleased to meet you. You have a wonderful site here. I’m not going anywhere, have a good one. Thank you for your message, I am very pleased that you found my Blog and sent your message. I would very much like some more information re: your Gallery, I am currently helping out with a couple of art’s week exhibitions here in our local town, once this is finish however I would be very interested in talking some more. Again thank you for contacting me and I look forward to talking again soon. Thanks for liking a bunch of recent photos on my blog. Best to you! Hello, thank you for visiting my blog so often and give your “likes” 🙂 Good light to you! Thank you for visiting my blog! I looked through the photos from your recent posts. They are breathtaking! Blessings! My beloved father’s family originated in Kilkenny … I was told that there were so many families with the same name that it caused the postmen terrific problems. But of course that might be a total furphy – dunno. Delighted to find an Irish site to follow, complete with glorious shots. Iontach! Yes I think that could well be true !!! Lots of people got called by their town-land name also, we have to John lyons ‘s in our family one is John lyons of Kyleateera ! My maiden name was Dunphy. So maybe that rings a bell? No matter. You have a very lovely site, particularly so for involving others. Yes I can Image that It was hard to know one Joe Dunphy from the other. Creo que vives en uno de los lugares más hermosos del mundo y tus fotografías nos lo muestran cada día. Enhorabuena por tan magníficas postales. La naturaleza es maravillosa y tú sabes captar esa grandiosidad de las cosas naturales. Thanks for liking a bunch of recent photos on my blog. Happy New Year. Hello Nigel, I found your Blog investigating the possibility of there being a Temple to the Celtic Goddess Danu under The Rock of Cashel. My daughter informed me so I went looking and found you. What wonderful photos!!!. I live in S.E. Qld Australia. My Ancestors came from County Tipperary. I have never had the good fortune to visit, maybe one day. I am interested in all things Pagan/Celtic. Is it okay if I post some of your pics on my F/B timeline (giving credit to you of course) did not want to presume it was okay without asking first. I would be more than happy for you to post the pictures yes ! , Thank you for asking . It’s a very interesting idea that Danu has a Temple at Cashel !! There is a big possibility as a spring come from the base of the rock its self, this forms a small stream that goes into the river Suir only a couple of miles away to the North weat of the rock. most of this stream is now filled in but it would have been much bigger in Pagan times !! You can just about see this if you view Cashel in bing maps – birds eye view (The Rock is on a ridge to the north of the town ) , the stream is to the north west of the rock and passed to the north of the older church in the field below. Danu you may already know is the Goddess of rivers and water , so – Yes There is a big chance of this !!! A lot of people interested in Pagan studies also feel that it is very likely that many Christian sites like at Cashel were built on pagan locations so as to remove these locations from pagan worship , a part of converting pagans to Christians. So yes you could be close here too !!! Thank you for the like, Nigel! Come back and visit anytime. I enjoy the images you have. Keep up the good work! I have been looking at the images, besides being most excellent, I am not well traveled enough to say for sure, but are all your pictures of Ireland? You touch so much history and it sparks the imagination in me, before I write about Vikings or Keltoi or Ostrogoths (not to go Gothic, that is). Where do you feet tread to bring these vistas to your eye? free to take a photo of anyone in a public area; allowed to take a photo from a public area into a private area; not allowed to take photos in private areas unless permission or not posted (might include shops to farmers land etc). I’m going to bring some model releases along just in case. What has been your experience of asking for permission to go on private land? I’ll be doing lots of back roads and need to figure out if it’s better to ask the owner 1st (if I can figure out where they live) or take a chance? Any advice is greatly appreciated. p.s couldn’t find the contacts page referred to so that I could email you instead. What a big question you open on a Monday Hahaha !! Its a very interesting question this one – thank you for asking it !! Because its not just relating to photography it relates to public freedoms and a access to open spaces. If you take this stuff to the limit we would all be restricted to are homes and city spaces. In this respect I think it relates to public mental health, freedom to get outside and explore our world. The Photography aspect is only the ability to record doing so !! Well from personal experience Ireland is a little more relaxed about this than other nations , you will find few moments when someone really notices you taking pictures . Personally all of my landscape images are taken from forest locations – (National Irish forests are listed here – http://www.coillte.ie/coillteforest/ – or look for the Coillte sign), there has always been a national agreement for public access. and the is one other forestry service that looks after nature reserves – but i Cannot think of this service at the moment – Google !!!! One thing that really bugs me is that a lot of Ireland megalithic and up to Viking and meddle age locations are on farm land with no guarantee for access ! !, there is no national trust here. A lot of Ireland history is left to single farmers to manage and being lost. Now – most of these land owners will put up a sign that says you are at you own risk in every respect – few say private keep out. Another things that will drive you mad is that the tourist offices will guide you to see something but when you get there , you may well find a notice or locked gate (This is Ireland! ), these moments are testing and I personally feel that unless the farmer is present you have a right of access. You could always phone back and ask again !!! As to asking the land owners, you will find that most Irish farms are run my one family and one framer. If you want images of there farm they may find it a little odd as to why ? once they know your only there for the pictures they will be ok or not ? There are show farms, again fewer by far then that in The UK. As to the taking of pictures , I have yet in ten years to be asked what I am doing taking landscape or street images here and yet asked what I am doing at all !!! !, I do however respect a notice not to, if I clearly see one. You will find that most Irish land owners with respect are not as objectionable to people so long as your not doing anything crazy like being in a field with a bull in it !!! Re , your release forms – if your in public places – you know you don’t need them – if not well will you need them ? One last comment on the Landscape work, you will notice that Ireland has no organised right to roam and few long distance walking paths ( Like America this has become the land of the car !!) , it does however have plenty of common land (Eg. http://www.curragh.info/landmarks/plains.htm) – land that farmers use but by law do not own. Many mountains and bog lands here are like this. In these cases I think its down to your own common sense to work out were you are going and what you are doing. When I fist came to live here I found the lack of footpaths and old rail lines a big loss ( I don’t think people in the UK now how lucky they are to have this system!) , yet when you realise that the forests are open access and that many areas are common spaces you just need to do some research !!! Ok must get on !!! Have a great trip , if your near Kilkenny you welcome to say hello !!! Reassuring information and useful links! Thanks Nigel. If I do get through Kilkenny I’ll definately give a shout. Hi, I have a Facebook page which promotes Ireland as a travel destination, using the best images and informative posts. I have many of Ireland’s best photographers on board with me and would be honoured to include you amongst them … your work is stunning. I used one of your images on a post today … ‘The Best Time’ bronze sculpture in Dublin’s Botanical Gardens. If you’d rather I didn’t use your work, I will of course remove the post immediately. My Facebook page is http://www.facebook.com/irelandandpegscottage. Thank you, Madeleine. Thank you for writing to me about my images and posts !!! The only thing I would say is that I am using my own images to carefully design my own blog and facebook page. I have been carefully working on not just images but the blog which mixes articles, Poetry and other areas . Crafts etc, that I want to express and talk about !!! I may also choose to publish my images in another form in the future!! I am not so happy if you just with respect, cherry pick my images for your own articles and reasons. I would also like to know a lot more about yourself and just how you are promoting Ireland and in what capacity!!! i,e, if it is in a commercial sense or a no profit making sense, at present I am not selling the images on my blog and If I do so it will be in a published for of my own selection !!! I think the only way I would be anywhere like happy, is if you send me a friends request through facebook and you share my own personal posts in full, as I want the full context of my images to remain with the posts I myself put together. I put a lot of time and thought into doing so!! Thank you for your very kind compliments re the images !! Nigel, thank you for your works! I will check on your own blog soon !!!! I always admire your photographs, Nigel, their quality and precision. Best of luck with everything! I’m looking to see if you sell your paintings? And where I might be able to buy one!